We’ve all had a zipper break on us — whether in a coat or a bag, a broken zipper makes a perfectly good piece of clothing (or backpack) unusable. 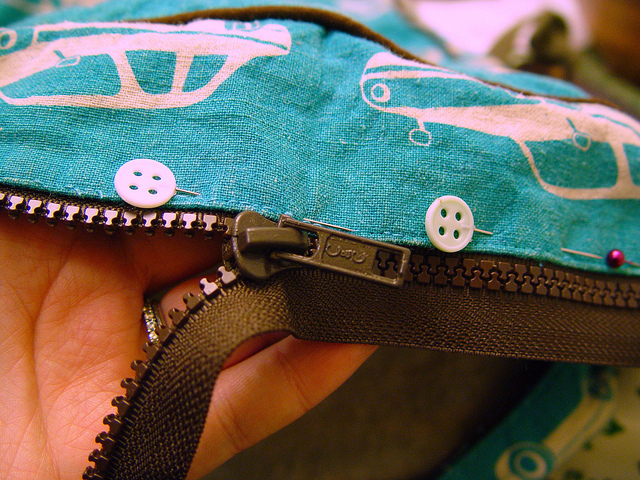 Did you know that replacing a zipper is quite simple? It is. Really. Here’s how you do it! I made this backpack for Connor right before he started kindergarten. It was great, but now that he’s in first grade (and it’s winter), he constantly stuffs his backpack full of his binder, library books, lunch bag, shoes and sometimes even his snow pants. 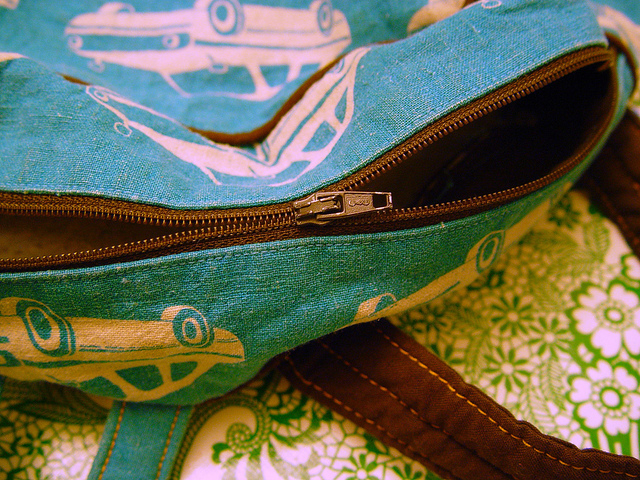 The stitching held up really well — so well that it was the zipper that finally broke. Time to replace it! Note: These simple instructions are for removing a zipper in a backpack (with lining), but the same steps can be used to replace a separating zipper in a coat or anything else! Start by grabbing a seam ripper. I love the one in the photo. It’s actually a small sharp blade so it makes it really fast to remove stitches (however, it can cut through your fabric just as easily). Remove all of the stitches holding in your zipper. Try to keep the fabric folded as it was when it was sewn. This will make it easier later. 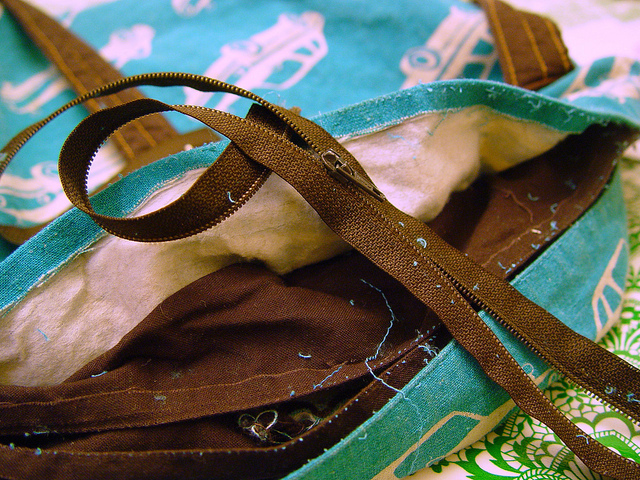 The ends of this zipper are enclosed in fabric so we’ll have to remove a bit of stitching at each end too. Keep going until you can completely remove the zipper. Remove any bits of thread that are left behind. At this point, I like to measure the zipper which needs to be replaced and go to the store and get a new one. I chose a heavy duty zipper. Connor’s a bit tough on this backpack and it needed a tougher zipper. 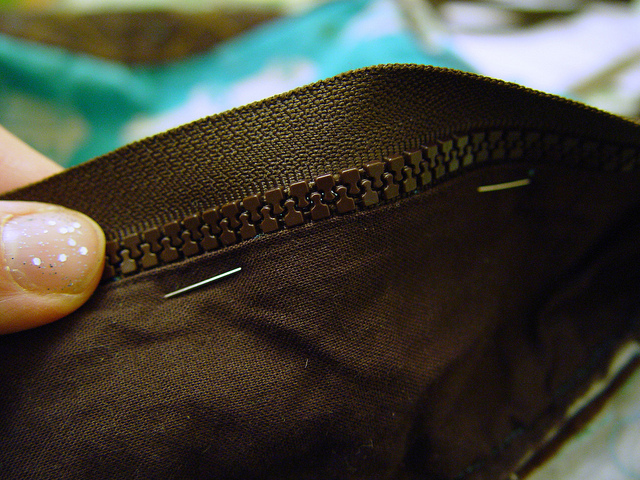 Start pinning the zipper in place, keeping your fabric edge folded like it was before. If your bag/coat is lined, make sure that as you pin the top piece, the lining gets pinned in place too and it doesn’t get in the way of the zipper. You can test your zipper as you’re pinning. If it still opens smoothly, you’re ok! 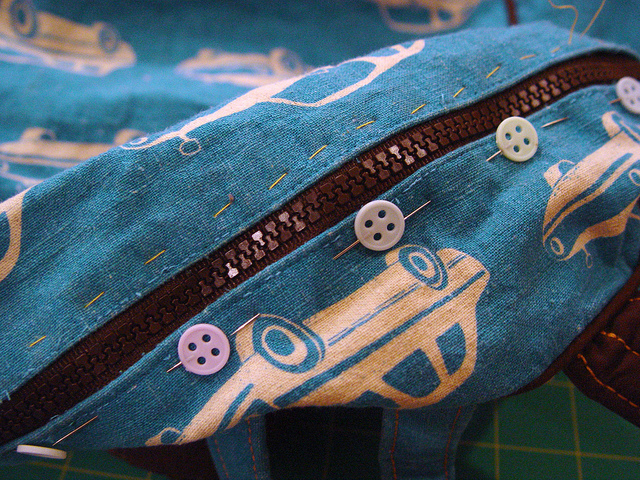 Repeat the pinning for the other side of the zipper. Now grab a needle and thread and baste (simply stitch in place using a large running stitch) by hand. Remove the pins as you go. When you’re done basting, make sure the zipper still opens and closes smoothly. 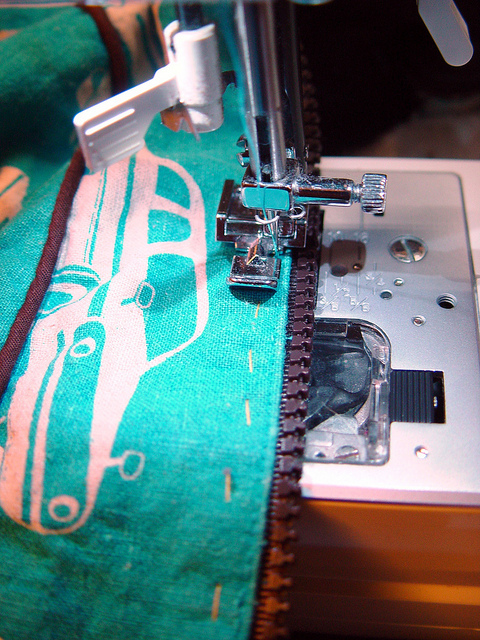 On your sewing machine using the zipper foot, sew in the zipper close to the edge of the fold of fabric. 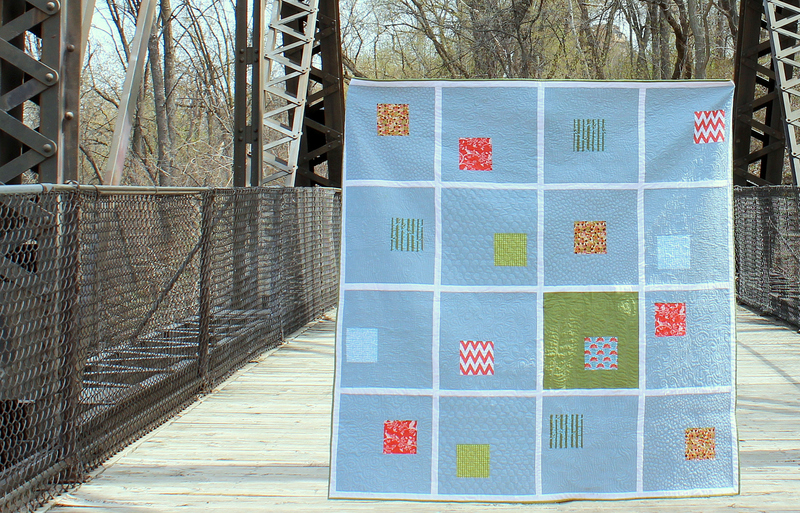 If you don’t have a sewing machine, you can sew this by hand – just use small stitches. Once that’s sewn in, remove your basting stitches. And you’ve done it! You’ve replaced a zipper! You’ll be amazed at the amount of money you can save if you learn this useful skill. Happy sewing! If your zipper is like in the first picture, don’t change it, repair it! 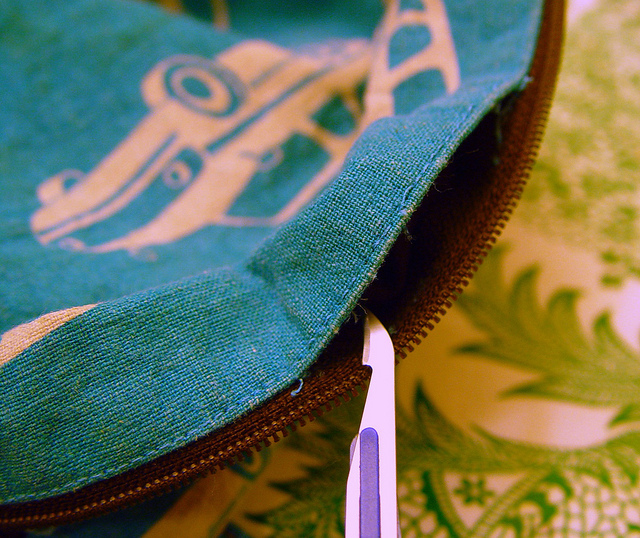 with plier: just press the zipper head narrow corners and that’s it.your zipper will work as new. I hope I was clear, beacause I do it for year and saved a ton of zipper (for me and all around me). Thank you for sharing this, it’s always useful! Thanks for the tip, but I did that many times with the first zipper and after doing that several times (it just wasn’t a strong enough zipper for this bag), I needed to replace the zipper with one much, much sturdier. This was great information! Thanks so much! I tried it on my toiletry bag and it definitely works. First, cute backpack! Second, good save on the zipper! I bought a nice bag for 50p at a flee market, I didn’t think anything was wrong with it until I got to the car and found the zipper was in bad shape. That started my journey to learnt sewing. I’ve been a crocheter for several years until I got so good at it. I already have basic hand sewing and never ever thought I would need to learnt to sew with a machine. And so, I started to look for books for beginners at the library, borrowed a few and as I went through the pages I became excited. 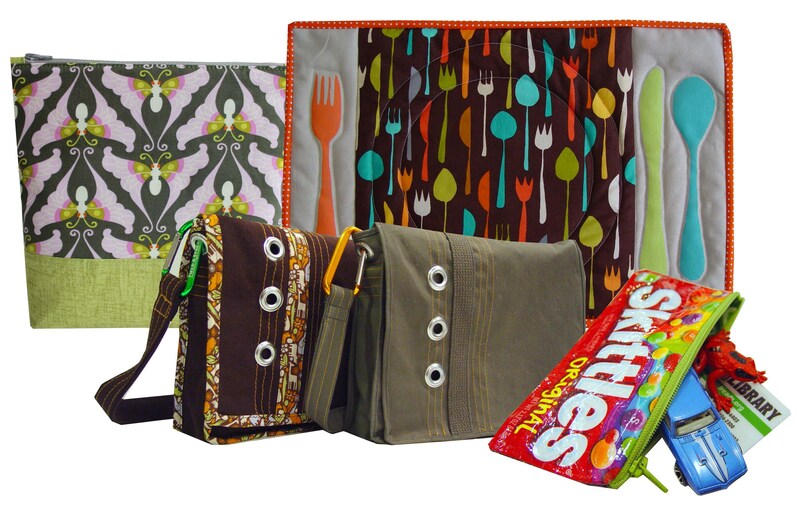 I wanted more, and what’s best to look for fast info about beginners sewing than the “world wide web”! There are tutorials on videos for beginners and I got really really really excited. 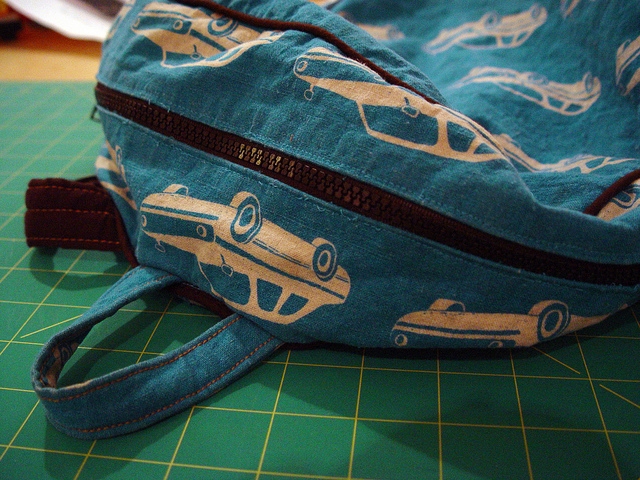 For months I tried to find tutorial or tips on replacing a zipper on bags, there a few but none was good or near enough to what I wanted to learnt (this goes on for awhile, had a baby yadda yadda yadda…) until today I found your blog. Thank you is just isn’t enough. You’ve helped me alot! I really like the replacement zipper. Where did you get it? The replacement zipper I got at Jo-Ann’s. It is a SPORT style zipper (hence the larger teeth). It’s a great zipper for younger kids! It should be pretty much the same. 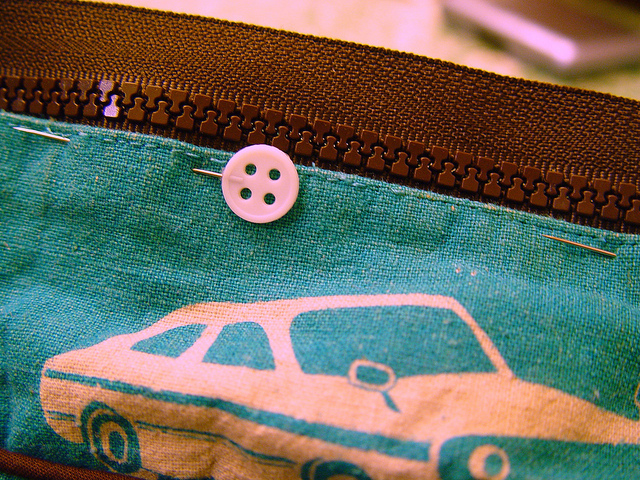 If the handbag is made of leather or some other tough material you can’t pin through, you can secure your zipper with scotch tape or use little quilt binding clips (I like Clover Wonder clips) – or even office clips in a pinch. 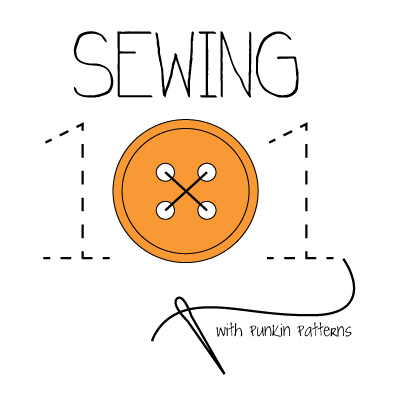 If you’re sewing the zipper on a machine, you may need a heavy duty needle and make sure your machine can handle sewing through the layers. I fix and replace zippers for a cobbler. 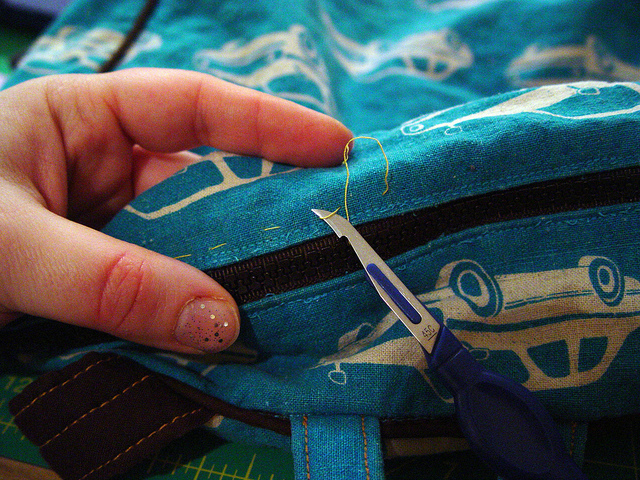 make sure you have worked zipper back to end before squeezing ends to make it work again, That may be obvious, but thought I’d mention it just in case. 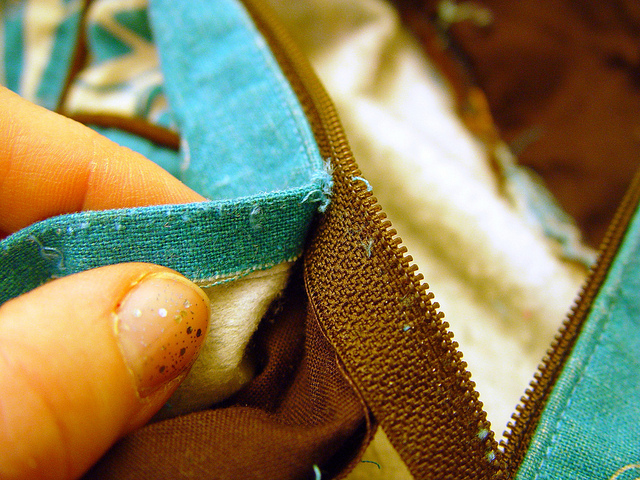 As far as fully replacing zipper, contact cement works great for positioning and holding it in place for sewing.